The CCI Solutions team regularly gets to work with amazing people who dedicate their lives to reaching others, and the team at Church on the Move is no exception. But for those who have followed Church on the Move Production and/or their Production Director/FOH Engineer Andrew Stone for any length of time know that when it comes to audio, there are few people who hold a higher standard. 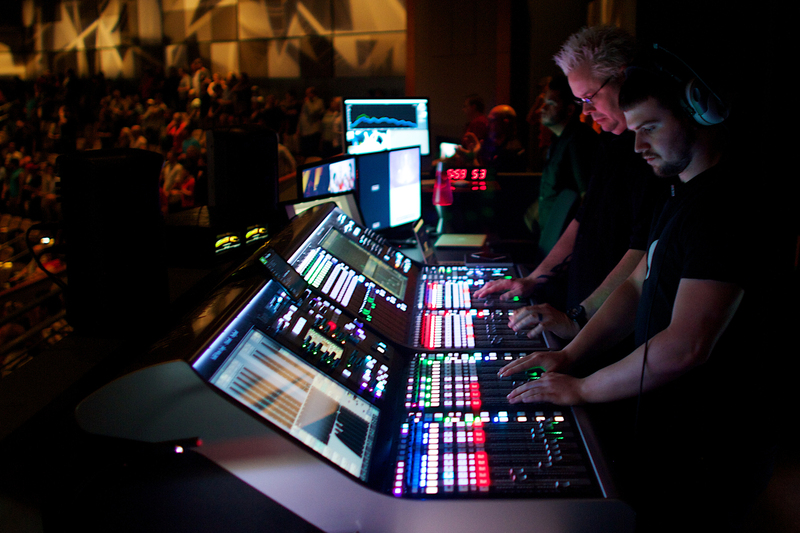 Church on the Move places a high value towards creating an unforgettable musical experience each week, so it plays a big part in how their workflow, staffing, and gear purchases are determined. 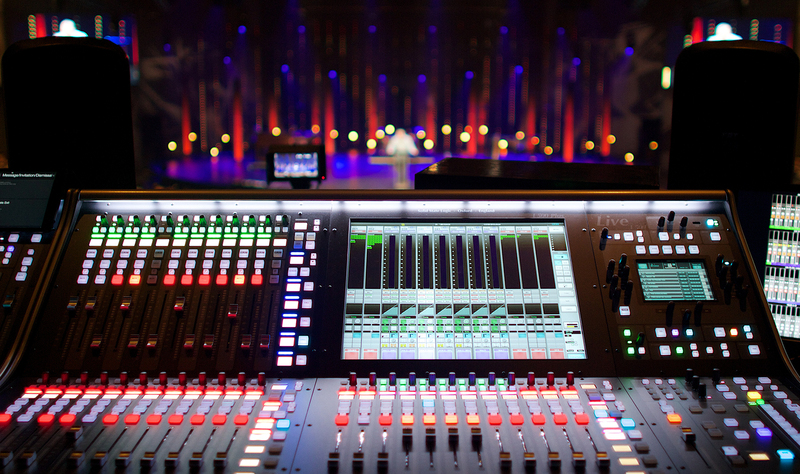 It’s for this reason that for 10 years FOH duties were handled by two Midas Heritage 3000 analog consoles despite the wide variety of high quality digital consoles available. They simply weren’t good enough, or perhaps more accurately didn’t sound true enough to what Andrew wanted to hear. As technology changes and gets better, it can be hard to ignore the benefits that come with new advances, and it’s the more efficient and flexible work flow that really started catching Andrew’s attention. Pushing the boundaries of creating better mixes meant having to keep the band around for hours on end in order to get things just right; virtual sound check just wasn’t an option with the analog setup. But late in the summer of 2015, COTM had the opportunity to bring in a few Solid State Logic (SSL) L500 consoles to use for their revival week—with production-heavy services every night and no room for extended preparation, rehearsal, or errors. The digital workflow did indeed have the huge benefit that Andrew had been imagining, but what impressed Andrew the most was the quality of audio. COTM turned to SSL Platinum Partner CCI Solutions when it came to outfitting both the Main Auditorium and the Oneighty Auditorium with matching SSL based systems, allowing the band to seamlessly transition between the auditoriums for the two Sunday morning services in each venue. The Main Auditorium is mixed on a SSL L500+ with Remote Expander side car, allowing for both the main FOH engineer and the FOH assistant to be dialing in different aspects of the audio simultaneously. Four ML32.32 Mic/Line with 32 Mic split stage boxes handle all of the inputs and outputs from the stage, delivered via a Blacklight MADI Concentrator which connects the stage to the console via multi-mode fiber. Virtual Sound-Check and multi-track recording are handled by a SSL Live Recorder. The Oneighty Auditorium has nearly an identical setup from input to output, even using most of the same mics and amps as in the Main Auditorium. The only thing missing is the Remote Expander side car. The COTM team can literally rehearse and dial in the morning’s services in the Main Auditorium during Saturday evening’s service, save the show file, and recall it on the L500+ in the Oneighty Auditorium for Sunday morning. With 9 AM and 11 AM services in the Main Auditorium and 10 AM and 12 PM services with the same band and speaker in the Oneighty auditorium, operation has to be seamless every time.